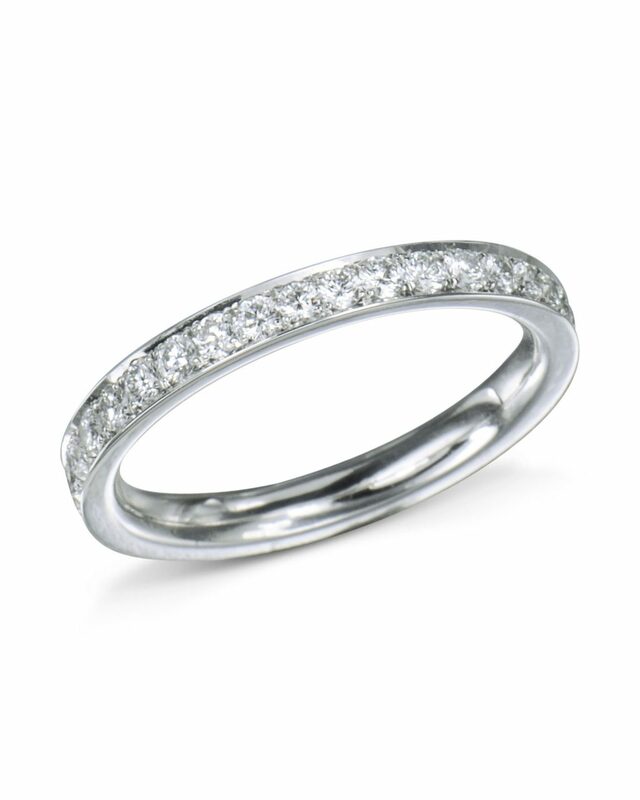 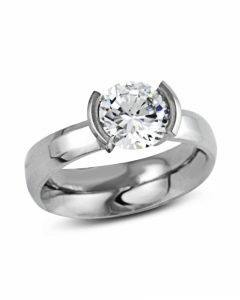 This simple platinum band has round pavé diamonds micro set around the ring. 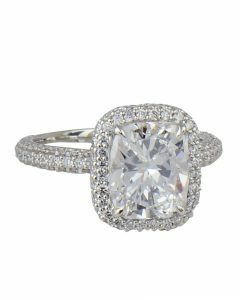 The diamonds weigh 0.70 carats. 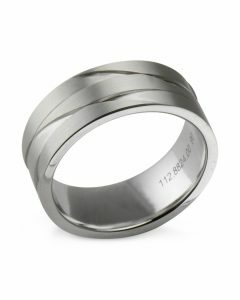 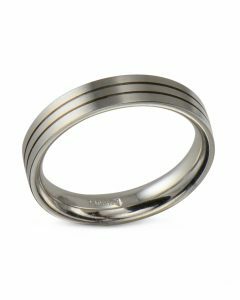 The ring is 2.5 mm wide.